Editor’s Note: This is Part I of a two-part series documenting the retirement of the Brayton Point coal plant and how this former coal town is redefining itself as an offshore wind energy hub. On calm days, back when the Brayton Point Power Station was operating, a yellow-brown haze would hang over Mount Hope Bay. Some winters, black snow fell in the town of Somerset, Massachusetts, as snowflakes mixed with the ambient coal ash. “You could see the pollution,” said Pauline Rodrigues, who lived a few miles down the road from the plant. The squat, coal-fired behemoth, painted an incongruous baby blue, collected and burned coal from around the world at its 307-acre site on a peninsula of Massachusetts’ South Coast. The plant’s two cooling towers, tall as skyscrapers, loomed over the seaside landscape, expelling waste steam in steady waves. A sooty coal pile lay like a beached whale across nine acres of coastline. In its heyday, the plant burned 10,000 pounds of coal a day – about the weight of an average killer whale – stacking up as one of the largest generators in New England. On May 31, 2017, Brayton Point closed its doors, a casualty of coal’s economic decline. The day marked a milestone (some might say millstone) for the town and the state. The newspaper in neighboring Fall River editorialized about having a “funeral” for the plant, to honor its central role in the community’s economic prosperity. Massachusetts shut down its last coal plant. Today, the workers and the machinery that ran the plant are gone, leaving clear skies and existential questions. Brayton Point’s retirement was both an end and a beginning, part of a broader story that involves townspeople-turned-activists, union workers, local elected officials, regional nonprofits, and, of late, offshore wind developers, whom Massachusetts leaders are working to lure toward the Bay State. 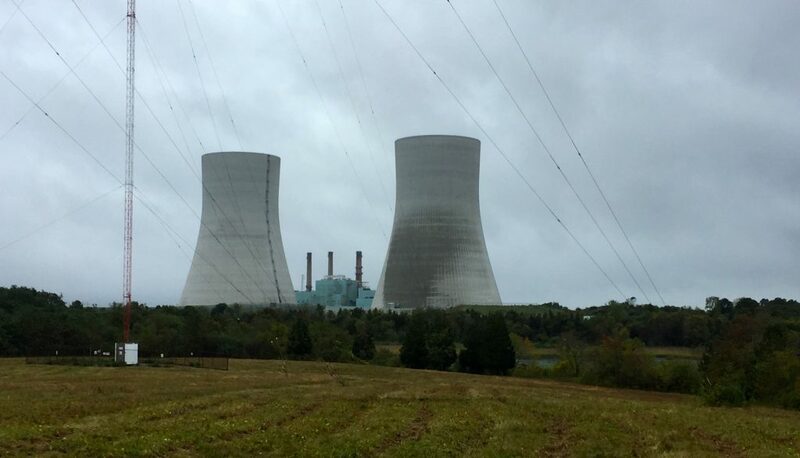 After over 50 years of operation, the plant’s closure has opened new prospects for the future of energy generation and economic growth in the town of Somerset, the greater New England region, and ultimately, the nation. 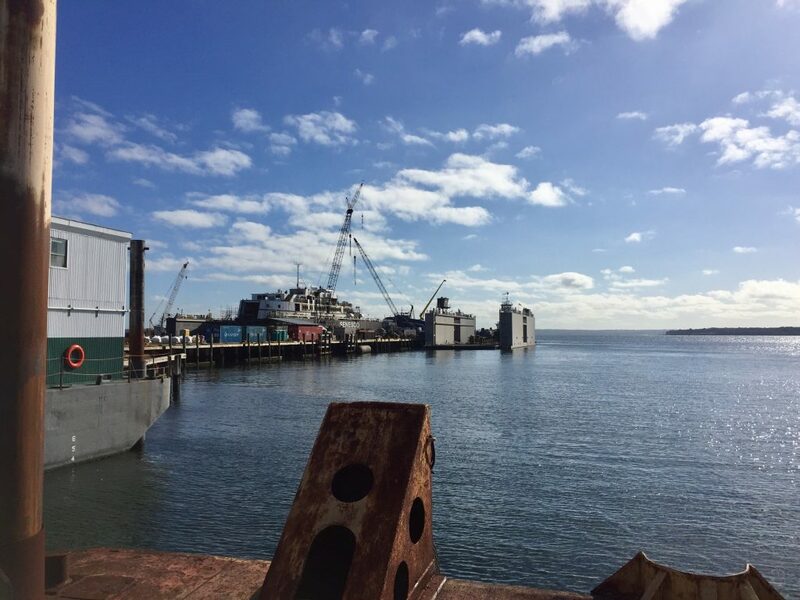 Somerset’s future initially looked promising: two of the three developers competing for Massachusetts’ first offshore wind procurement planned to interconnect at Brayton Point. The site features waterfront acreage, a deepwater port, and an existing connection to the electrical grid. Along the crowded New England coast, where waterfront property is at a premium, “it’s a major asset to have this much land that is industrially zoned so close to planned offshore wind farms,” said Amber Hewett of the National Wildlife Federation (NWF). Then, on May 23, 2018––just shy of a year into retirement––Brayton Point’s future was cast into shadow. Massachusetts regulators selected Vineyard Wind to develop the state’s first offshore wind project out of Cape Cod, putting the plant’s second life as an offshore wind hub on the back burner for the time being. Despite losing out on the first project, Somerset’s local leaders are eager to ensure that Brayton Point plays a role in the state’s energy transition. Massachusetts is working hard to jump-start its fledgling offshore wind industry, in the hopes that onshore economic development will follow. Project developers, including Vineyard Wind, have pledged millions towards community development and workforce training initiatives for the Commonwealth, and supply chain manufacturers are eyeing East Coast outposts for their operations. Promisingly, as 2018 drew to a close, the shadows clouding Brayton Point’s future appeared to be lifting: the site’s new landowner, Commercial Development Company, Inc. (CDC), announced plans to redevelop the property as a logistics, manufacturing, and support hub for the offshore wind industry. The former coal plant will be rebranded as the Brayton Point Commerce Center. As this community––and the nation as a whole––stand on the verge of a clean-tech transition, a more complete historical reckoning reveals where Somerset has been, where it is now, and where it might be going. Nestled along the Taunton River, Somerset’s shape resembles a fishing hook. Riverside Avenue runs north-south along the river’s edge, connecting side streets of modest New England coastal homes. The town is orderly, if a bit weather-beaten. Brayton Point commands the end of the peninsula, where the river meets Mount Hope Bay. Settled since the mid-1600s, and incorporated in 1790, Somerset is just as proud of its colonial heritage as it is of its history as a major power generator for the region. The town is home to the oldest Quaker Meeting House in Massachusetts – a 300-year-old structure on Prospect Street that is listed on the National Register of Historic Places. Less enduring but equally prominent in the community’s culture are the town’s two coal-fired power plants: Brayton Point and the Montaup Power Plant, the latter retired since 2010. The larger of the two, Brayton Point, operated under various owners since 1963 – most recently Dominion Energy, Energy Capital Partners, and Dynegy. In its economic prime, the plant generated over $12 million a year in tax revenue, providing half or more of the town’s total cash inflow. The 1,500-megawatt behemoth employed 250 at its peak, providing earnings that paid for housing, college tuitions, and a decent quality of life for many of Somerset’s 18,000 inhabitants. Somerset residents coveted those jobs. The plant was one of the only big employers for miles. “Let’s face it, Somerset is basically a bedroom community,” said resident Pauline Rodrigues, a retired telephone operator. Rodrigues is all too familiar with long commutes. Throughout her career, she worked in several neighboring cities and towns including Taunton, Brockton, Fall River and Boston – some 50 miles north. Yet, Brayton Point generated more than just money and jobs. The plant produced 3.26 million metric tons of carbon dioxide a year – the most of any generator in New England. Adding local pollution to global injury, the plant was also the largest emitter of environmental toxins in Massachusetts. “When my grandson was playing baseball, they had two coaches: one to coach the team, and one to manage the inhalers,” said Rodrigues. Her children and grandchildren all grew up in Somerset. Brayton Point belched thousands of tons of toxic chemicals into the air yearly. Mercury, lead, sulfur dioxide, and fine particulate matter, among others, elevated the risk of health issues like asthma and cardiovascular disease for those living nearby. In 2008, the U.S. Environmental Protection Agency reported that the plant emitted more than 37,000 tons of toxic chemicals. Clean Water Action and Coal Free Massachusetts estimated that the pollutants coming from Brayton Point represented a public health cost of $120-294 million in hospital fees and other health-related expenses. Local waterways, the circulatory system of the region, felt the burn as well. The plant discharged hot water into Mount Hope Bay, decimating the winter flounder population. Brayton Point was “parboiling the flounder,” as Save the Bay’s Topher Hamblett put it. Clean water advocates branded these discharges “killing canals” for their impact on the region’s fisheries. By 2013, the whale of a plant appeared to have fallen ill itself – its output fell and its costs ballooned. A broader epidemic was afoot, shuttering coal plants around New England and across the nation. Four years later, the plant retired. Somerset, now coal-free, is in search of a new economic anchor for its seaside community. Coal’s legacy in the community is complex. For some residents, their identity is wrapped up in the coal industry and the benefits it has brought to the town. For others, the plants and their pollution were a stain on an otherwise pastoral stretch of Massachusetts and Rhode Island shoreline. “Somerset is the closest thing we have to Appalachia in New England,” said Sylvia Broude, Executive Director of Toxics Action Center. The town and its economy have revolved around those two power plants for more than 50 years. Coal-fired power was something many people had come to accept—a community staple—much as Brayton Point’s cooling towers had become two of Somerset’s defining landmarks. Not everyone felt so positively about the plant, however. “The size of those cooling towers reflects the size of the problems the plant created,” said Stephen Clark, a board member with Save the Bay. But unlike the cooling towers, those problems were invisible to many town residents until local organizing began to highlight the health risks and environmental impacts of coal. Between 2008 and 2010, nonprofits like Toxics Action Center organized several community meetings to discuss the consequences of Somerset’s coal-fired history. At the request of a friend, Pauline Rodrigues attended a meeting at the Fall River Library. When she heard the group talking about the health impacts of the coal plants, she immediately thought of her grandson and his struggles with asthma. She decided to join local organizing efforts, which became known as the Coalition for Clean Air South Coast. To the plant workers in Somerset, however, that was a deeply unsettling prospect. He acknowledged that times had become tough recently. The economic decline of coal nationwide cut jobs for thousands of workers, and his local union had struggled to maintain workers’ benefits during the years of Brayton Point’s financial struggles. Clark, medically discharged from his work at Brayton Point a few years back, decided to leave the industry altogether. He will graduate this spring from the University of Massachusetts-Dartmouth with a degree in accounting. Clark fears for the town and for his fellow union workers. What kinds of economic impacts will result from the plant’s closure? Former Brayton Point employees are pursuing different options, from early retirement to retraining. Yet, to Clark’s surprise, one important opportunity has been absent from the conversation—green jobs. For McNamara, the answer lies in embracing the future. Just over 40 years old, blonde, and high-energy, she’s the kind of person who makes you lean forward in your chair when speaking with her. Her orderly office is filled with personality. Flowers sit in a vase on the windowsill. A large world map covers the left wall. A chess set and a bar cart await moments of downtime. McNamara, a life-long math and science geek with a Master’s degree in engineering, identifies with the phrase engraved on a wood sign hanging over the bar cart: “It’s all physics.” The saying was a favorite of her late father. 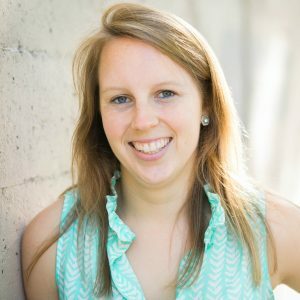 In 2014, McNamara moved back to Somerset from the West Coast to be closer to her mom and sister. She wasted no time getting involved in town affairs. By May of 2016, despite having no political experience, she had successfully run for the three-person Board of Selectmen, displacing the incumbent by over 1,000 votes and becoming the second woman ever to join the Board. Now, she’s busy dreaming up plans that range from high-speed rail to baseball stadiums. She is also excited about the prospect of clean energy generation—at Brayton Point as well as on Somerset rooftops, where solar panels are proliferating—to remake the town. Any discussion of Brayton Point eventually leads to Representative Patricia Haddad (D-Bristol), Speaker Pro Tempore for the Massachusetts House of Representatives. Nearly everyone I interviewed asked me if I’d spoken with her. Once the self-proclaimed “queen of coal,” Representative Haddad now calls herself the “witch of wind.” The story of her transformation reveals the importance of Brayton Point to the coastal Massachusetts economy, and it speaks to where the site might be heading. Representative Haddad possesses the rare ability to flip expertly between both sides of the conversational coin. A prolific and engaging storyteller, she is equally at home as a listener. While she worked to pass offshore wind legislation in Massachusetts, she met with anyone who wanted to speak with her for a two-hour listening session. Her account of Brayton Point begins during her time on the Somerset School Committee, where she served from 1993 to 2001. “I know people didn’t like the environmental impact of the plant,” she said in a recent interview. “However, I knew plant owners as a good neighbor. They tried to do things with the school, do things with the community.” What’s more, the tax revenues the plant provided allowed the town to maintain services like full-time police and fire departments. Around the time Pauline Rodrigues attended her first local organizing meeting, Representative Haddad began to notice a change in the winds for Brayton Point, as well as for coal-fired power more broadly. The market and the industry were shrinking. Public opposition to fossil fuels was on the rise. But nothing up to that point had prepared her for plant owner Dominion’s announcement in the fall of 2012. One day in early September, the company revealed its plans to sell Brayton Point. In March of 2013, Dominion sold the plant to a private equity firm, Energy Capital Partners. Soon after, the firm announced the closure of Brayton Point on the grounds that the plant’s high operating costs prohibited it from generating electricity at an economically viable price. Energy Capital Partners ended up selling Brayton Point to Dynegy in 2015 before its closure, but the new owners confirmed they would retire the plant as scheduled. Representative Haddad began to take a closer look into New England power generation and was taken aback by how much energy was being lost around the region from coal and nuclear retirements. Out-of-state natural gas dominated the energy mix to a worrying degree. Future expansion of natural gas capacity seemed increasingly unreliable, as new gas pipeline decisions became battlegrounds for local environmental activists. “It really hammered home to me that something different needed to be done,” she said. With the closure of Brayton Point looming on the horizon, she realized she had to find a new way to bring jobs to her district. Meanwhile, in neighboring New Bedford, the former whaling port was trading in its historic harpoons for heavy cargo. In 2015, the town completed a new Marine Commerce Terminal – the first of its kind in North America – designed to support the construction, assembly, and deployment of offshore wind projects. 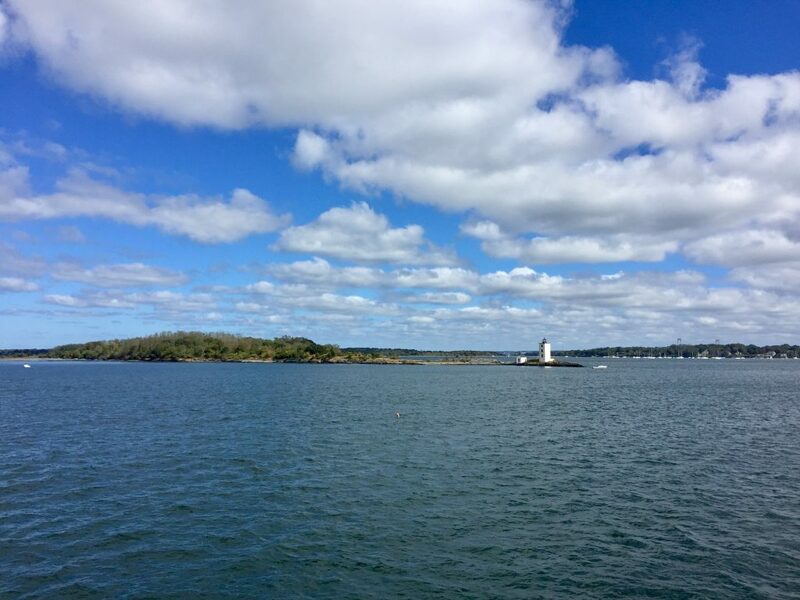 Stakeholders in the industry began contacting Representative Haddad about incentivizing offshore wind development in Massachusetts. This included one particularly savvy offshore wind proponent: Matt Morrissey, then Executive Director of the New Bedford Economic Development Council. Representative Haddad decided to do her best to power up this new industry. “I started saying to people, ‘I’m going to pass a bill that says offshore wind is welcome in Massachusetts,’” she said and set out to do just that. Almost immediately, a roadblock appeared. Then-Governor Deval Patrick’s 2014 energy bill was heavily focused on long-term contracts for Canadian hydropower and ignored offshore wind completely. 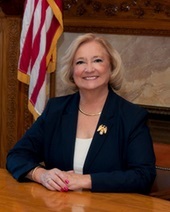 Representative Haddad used her legislative clout to block the bill. “Being a Catholic schoolgirl, and knowing I had been bad, I felt it was my obligation to fix what I had done,” she said. Representative Haddad proceeded to spend months leading up to the two-year 2015-16 legislative session working to develop a new bill. She spent at least four hours a day in meetings with unions, developers, power generators, and nonprofit groups. She gathered briefs. She chronicled the meetings. She collected follow-up surveys. “This is how I spent my vacation,” she reflected wryly. Then, she started writing. By the filing date in January 2015, her team had a bill ready. At that point, they held the final meetings to round up the critical bill supporters. “Now there’s a clock ticking,” she explained. “I was watching what was going on in Maryland, New York, New Jersey – watching all these states around us getting more and more interested in offshore wind. And of course, we needed the jobs; we needed the power. I knew I had to get this bill passed.” Passing a bill in one session is no easy feat, but Representative Haddad was prepared. Ultimately, her work paid off. On August 8, 2016, Governor Charlie Baker signed Representative Haddad’s bill into law. “An Act Relative to Energy Diversity” included a statewide mandate for utilities to procure 1,600 megawatts of offshore wind by 2027. The legislation represented the largest offshore wind policy commitment in the nation at the time. Representative Haddad then turned her focus from the capital back to the coast, hoping to leverage this new legislation into an economic boost for her struggling region. For Part II of this story, click here.